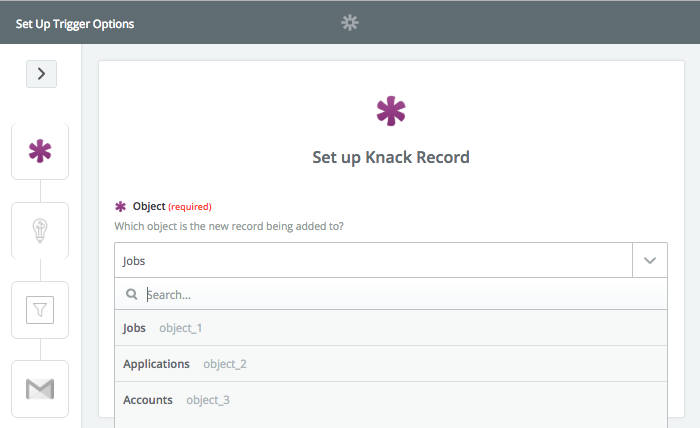 Knack is a versatile database that lets you easily build dynamic sites and apps. While proofreading might not be the highest ticket item on your to-do list, publishing content with errors can cost you credibility and harm your bottom line. 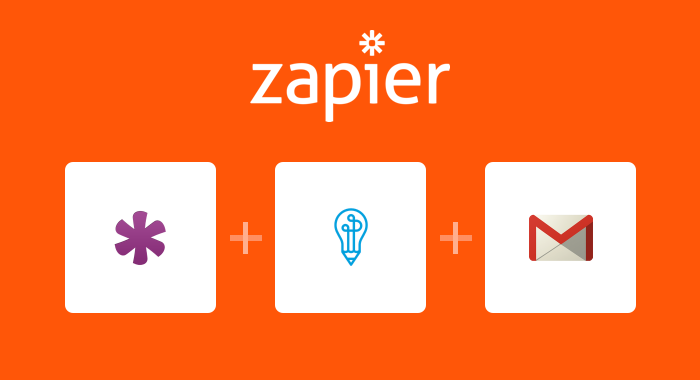 Now, you can use Perfect Tense and Zapier to notify you via Gmail if any of your content has spelling or grammar errors that need your attention. That means you can spend more time building your business without having to worry about simple mistakes that could be costing you. 1. 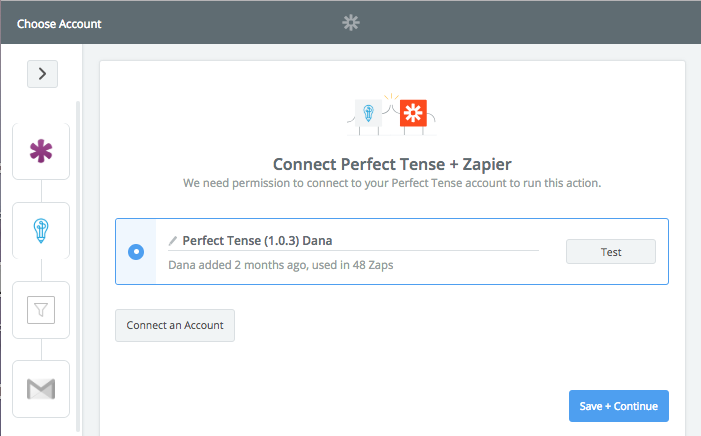 Make sure your Perfect Tense and Zapier accounts are set up (both are free to try). 2. Follow the template below to build your integration. If you have any questions about the template, just follow the tutorial below. Click “Use this Zap” to read more about the integration and how it works. When you are ready to get started, click “Create this Zap”. The Zapier template pre-maps most of the fields for you to make setting up the integration easier. This tutorial will help you fill in the rest of the blanks. 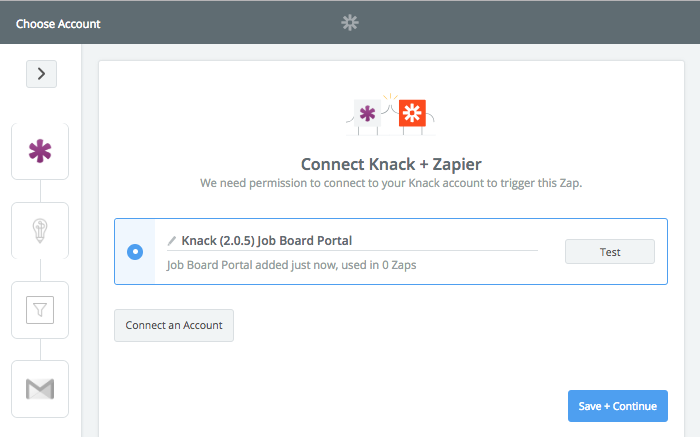 First, you will need to connect your Knack account to Zapier. To do this, you need to select the app from your Knack account that you would like to use (you will need to add an integration for each app that you want to be proofread). Next, Choose the object within your app that you would like Perfect Tense to proofread. This tutorial will follow a job posting object. 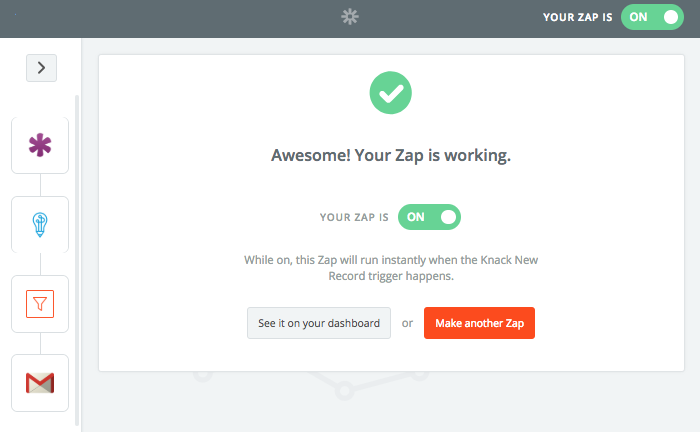 Zapier will then gather samples from Knack to make sure everything has been properly connected. 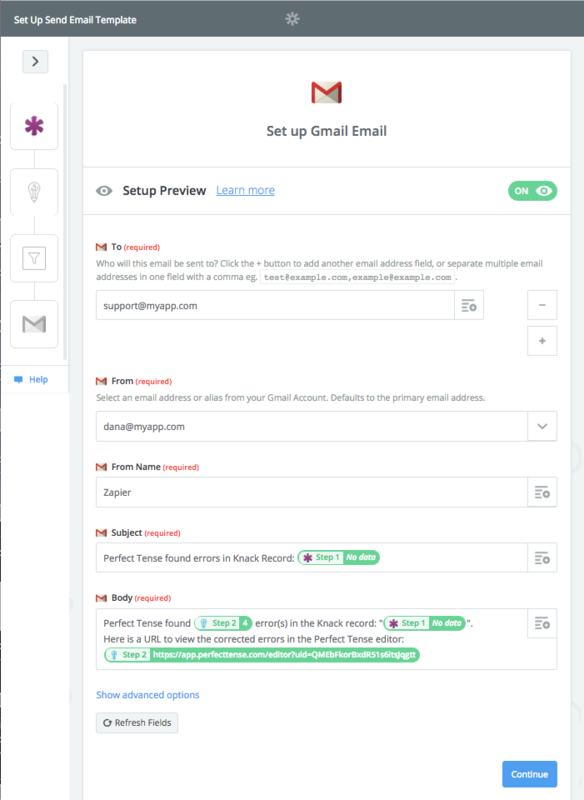 The action step (Save File for Editing) will be preselected for you; all you need to do is connect your Perfect Tense account to Zapier. Once your Perfect Tense account has been connected, Zapier should have the content section pre-filled as shown below. However, if the field is not pre-populated, you can add any fields that contain text you want corrected. 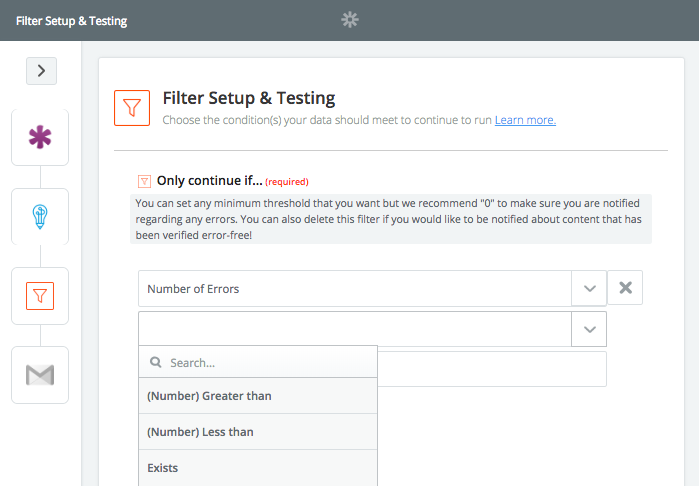 Zapier will send a sample correction to Perfect Tense before you can continue. To receive notifications only when your content has errors, set the error count to “(Number) Greater than” and pick any number. Using “0” will not allow Zapier to send notifications about content that is completely error-free. To receive notifications that verify when your content is error-free, you can set the error count to “(Number) Less than 1”. To receive notifications about all content (regardless of if there are mistakes), you can choose to send a notification if an error count “Exists”. Once your filter is set up, you are ready to set up your final step. The action step (Send Email) will be pre-selected for you. You just need to connect the Gmail account that you would like to use. Now, all you need to do is fill out who you would like the emails to go to and be “From”. The subject and content of the email should be pre-filled for you with the relevant information from the previous steps. If it is not, we recommend having the name of the record in the email subject and the number of errors Perfect Tense found, the name of the record again, and the URL that Perfect Tense offers. 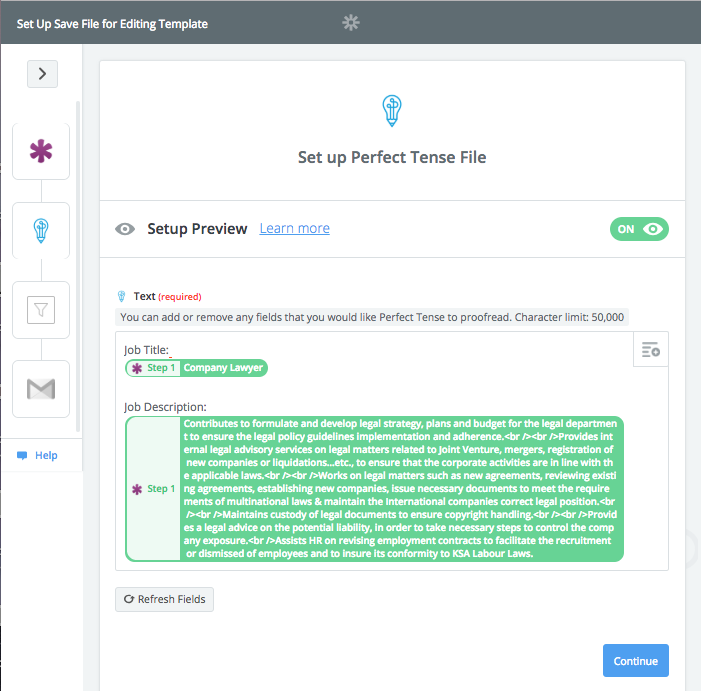 This URL links to your Perfect Tense editor. Here, you can see all the errors Perfect Tense caught and their proposed corrections. 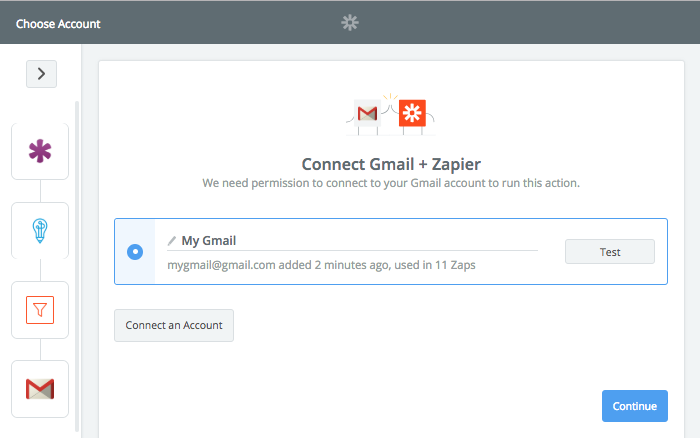 Once Zapier has sent a test Gmail to your account, you should be all set up! That's how easy it is to find mistakes in any app in your Knack databases! Try Perfect Tense for free! Error: Invalid username and password. Do you want your content to be error-free in seconds?